Everyone’s gone coastal this summer looking for the perfect combination of sun, sea and surf. But whether your raffia tote rests in Thailand or Malibu, your sunscreen and bronzer aren't far behind. We didn’t have to reach far to find the products that have earned a permanent position in our summer totes. 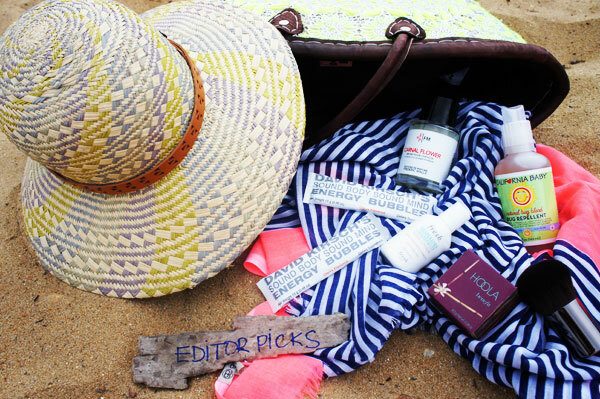 Our founder Polly Blitzer packs these products for every beach trip. David Kirsch Wellness Energy Bubbles ($40 for 10 at David Kirsch Wellness). My new health sensei David Kirsch is going to put Starbucks out of business one client at a time. These one-dose packets mix instantly into water, giving your glass a kick of yerba mate, taurine, ginseng, potassium, and B vitamins. He doesn't rely on artificial sweeteners and chemicals - and you never get bloating, jitters or the crash effect caused by coffee, soda and energy drinks. Fresh Hesperides Body Lotion ($22 at Barneys). The lightest most refreshing grapefruit zest, minus the rind. 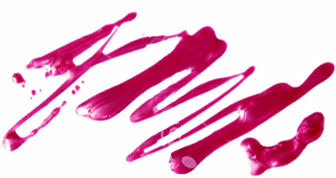 It leaves skin satiny, smooth and unsticky. Frédéric Malle Carnal Flower Hair Mist ($160 at Barneys). The muse for this hair mist was Frédéric's aunt, Candice Bergen, who appeared in Carnal Knowledge opposite Jack Nicholson. The grassy peppery scent smells nothing like its individual notes of bergamot, melon and eucalyptus. I can't put a finger on its composition every time I spray it, but I love the way it makes me feel. It smells like a late sunny morning after you've gotten enough sleep. Benefit Hoola Bronzing Powder ($28 at Benefit Cosmetics). This sheer tawny powder gives skin a subtle sepia tint, and it's impossible to overapply. I grab a big brush and just go to town all over my body, including calves, arms and ears. California Baby Bug Repellant ($13.50 at Target). If it's DEET-free and I haven't had a bad bite all season, this natural spray is on to something. Good time for my babies, husband, puppy and me. Make Up For Ever Foundation Kabuki Brush ($48 at Sephora). Compact handles are key for travel. I tote this mini for its maxi delivery. Thick, plush brushes are the jam.